The unexpectedly large jump in Japan’s first-quarter GDP happened almost entirely because its exporters have joined in a race to the bottom by major trade currencies. Whether the economy can retain this momentum depends on just how keen these companies are to share the spoils with their workers. Output expanded an annualised 3.9 percent from the previous three months, compared with an initial estimate of 2.4 percent, data released on June 5 showed. Businesses ramping up capacity to take advantage of a weaker yen made all the difference. Private non-residential investment grew by 2.7 percent from the Oct-Dec quarter, and not the 0.4 percent estimated earlier. Japan’s export industries are investing in new machinery because they are now playing for market share. The dollar prices of their wares have fallen in the United States by 2 percent over the last six months, four times the discounts they offered between April and October 2014. Competition from Europe may be forcing their hands. The yen has weakened about 16 percent against the greenback since October; while the euro has depreciated almost 14 percent. It’s not entirely clear if sacrificing margins for the sake of volumes is a sustainable strategy. For private investment to strengthen more reliably, Japanese domestic consumption must emerge from its year-long slump. That’s the big hurdle. While consumers were slapped with a 3 percentage point increase in the sales tax last year, they are yet to see the benefits of Japan’s revival trickle down to them via a significant increase in base wages. 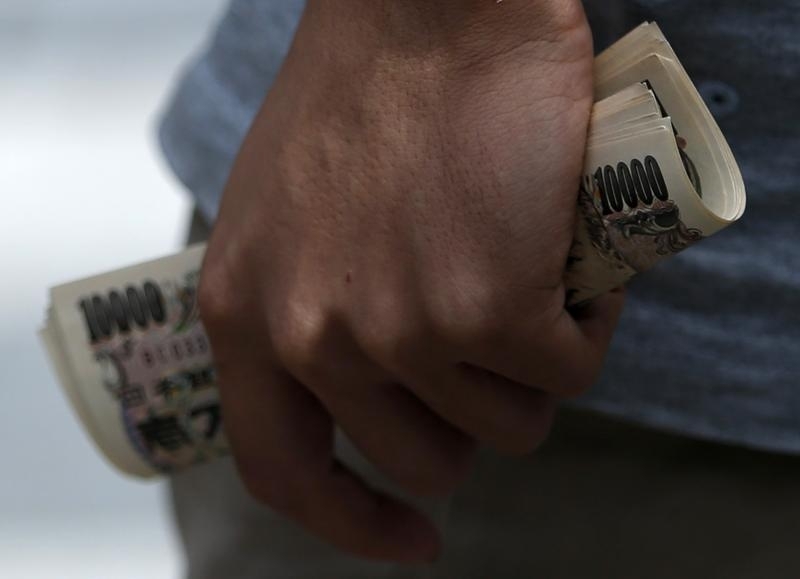 After three months of decline, the average Japanese worker’s cash earnings in April were just 0.12 percent higher than a year earlier. The revised GDP report card reduces already-dwindling expectations of further monetary easing this year. But the good news is that Prime Minister Shinzo Abe’s anti-deflation campaign no longer looks at serious risk of derailment. Even if the Bank of Japan’s 2 percent inflation goal is still nowhere in sight, bond market inflation expectations are holding steady. Japan’s GDP is benefitting as its manufacturers join the currency wars, but the next round of revival needs workers to benefit too. Japan’s economy grew an annualised 3.9 percent in the first quarter from the previous three months, compared with an initial estimate of 2.4 percent. Economists in a Reuters survey had expected 2.7 percent expansion. Private non-residential investment grew a seasonally adjusted 2.7 percent from the Oct-Dec quarter, and not the 0.4 percent estimated initially. The benchmark TOPIX stock index was down 0.4 percent from its previous close at 1660.08 at 11:00 a.m. in Tokyo.